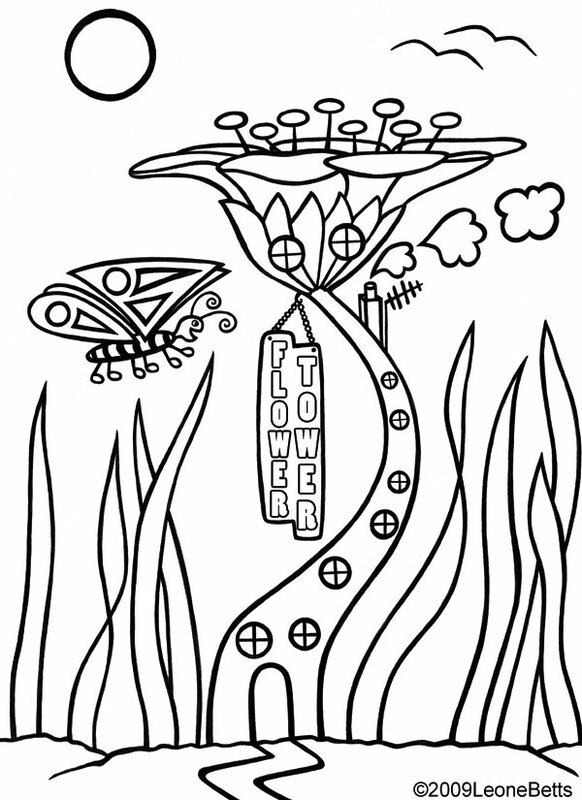 This lovely picture of “Flower Tower”, a very small fairy house, is one of our most popular coloring pages. We think children enjoy imagining who lives inside. If you like this design, you might want to check out these colouring pages by the same artist.